Architectural drawings for the whole aspect of the unit, base slab, elevations, roof and floor plan are included with every purchase so you needn’t worry if you don’t have a clue where to start, these detailed drawings will show you everything you need to know if you are erecting the building yourself. Framework or full SER engineering certification is also available should your local building control department require it. 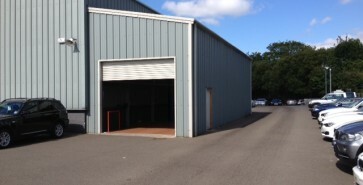 We Use cold rolled steel that gives us a high tensile, durable and very strong build for less weight than traditional construction methods means we can deliver the units direct to you included in the price we quote you. 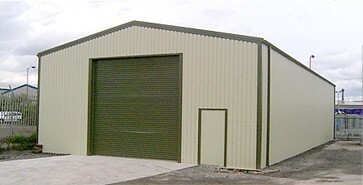 We can supply steel buildings throughout the whole of the UK England, Scotland, Ireland and Wales. Skylights for both single skin or insulated units. Windows are available should you require them. Electric remote opening for roller doors, should you require them. 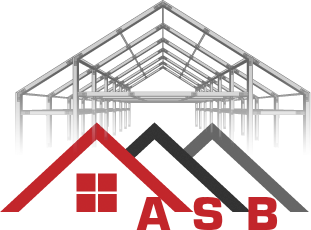 Buildings are supplied flat packed to you – along with architectural drawings, a build manual, and also a load list. Engineering certification can be supplied (price on application) if your local building control require this (SER certification for Central Scotland as well). Our aim is to give you the most cost effective building, flat packed to your door, and thus giving you the choice on how much you spend on building it. 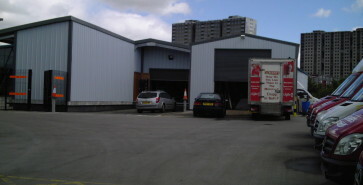 Adaptable Steel Buildings Glasgow high quality steel built buildings and garages.